Sleeplessness is often the product of a racing mind. If your mind races a lot during the day, it’s not likely to just stop racing when you try to sleep. Your mind slows down and you get drowsy at night on the highway because the signs and posts along the road create a step-down effect on your racing mind, whereby your attention on the road and passing markers give the mind something to train on besides your thoughts. Use a simple thought or process when you’re trying to fall asleep to create the step-down effect on your mind that highway signs do. As a mental step-down exercise, consider saying the word “love” on every inhale and the word “trust” on every exhale as you fall asleep. A racing mind, at any time, is a fear-based response that produces a cascade of hormones in the body whose purpose is to move us to action. Action is the last thing we need when trying to sleep. Shallow breathing often accompanies fear-based responses. 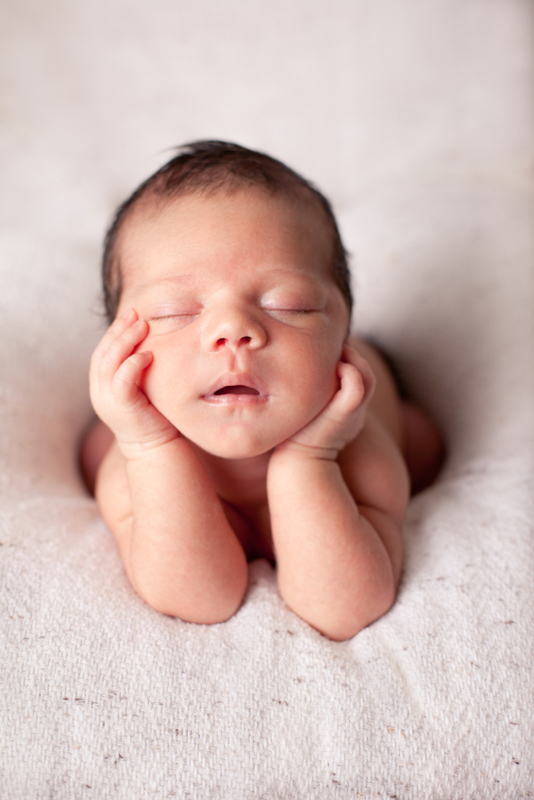 Begin any exercise to help you sleep with deep, full breaths. When the body feels no need to take action, it stops releasing hormones designed to get us moving. When hormones intended to get us moving stop coursing through our bodies, we naturally begin to feel heavy in the bed and soon drift into sleep. Here’s one of the scripts offered in Journey Beyond Hardship to help you fall asleep. My mind is racing to support me, but at this point I’d like to settle down and fall asleep. To help me fall asleep, I am taking deep, full breaths. And as my mind and my breath slow down, I am occupying my mind with this image: I see my electromagnetic field like a large soap bubble attached to the top of my head. With each slow inhale, I see the bubble shrinking, as if my inhale is drawing air into my body from inside the bubble. As this air from inside the bubble is drawn down through the top of my head, it is converted into a beautiful gold light, like honey. And as I continue to breathe, this honey-like light begins to make its way into every cell of my body, bringing calm and quiet. First, the honey-like light slowly fills my head, my neck, and my shoulders. As it fills these areas, I feel them relax. Next, the honey drains into my upper arms, then my lower arms and now my hands. And as the light reaches these areas, they relax as if each and every cell is filling with pure love. Now the honey-like light makes its way into the cells of my upper back and chest, and as it does, I actually feel the muscles there relaxing, receiving the love of this light. As I breathe in deeply, the bubble above my head gets smaller, and the honey-like light now drains into my middle back and my belly. It feels comforting. As this honey-light pours through me, there is a release of tension as each area is filled and relaxed. With each deep breath, the golden light makes its way farther down my body, now pouring comfortably into my lower back, my hips, and my groin region. I am finding myself more and more quiet inside as I watch the golden light move through me. Now the light is in my upper legs and then my knees, and the golden light is filling the cells in my legs with calm and love, and I enjoy the relaxation. And the honey-light continues to pour down into my shins and calf muscles. And now I see that the bubble above my head is nearly completely gone, as each inhale has emptied it, and the activity contained there has been converted into a golden light, like honey, now reaching my ankles and, finally, filling me completely. The sensation I’m left with is one of fullness, relaxation, and pure love. 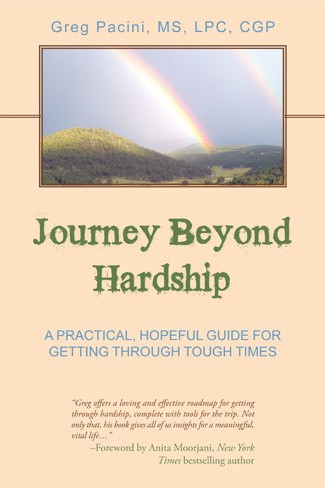 *Journey Beyond Hardship offers several step-by-step techniques for quieting anxiety and the racing mind.